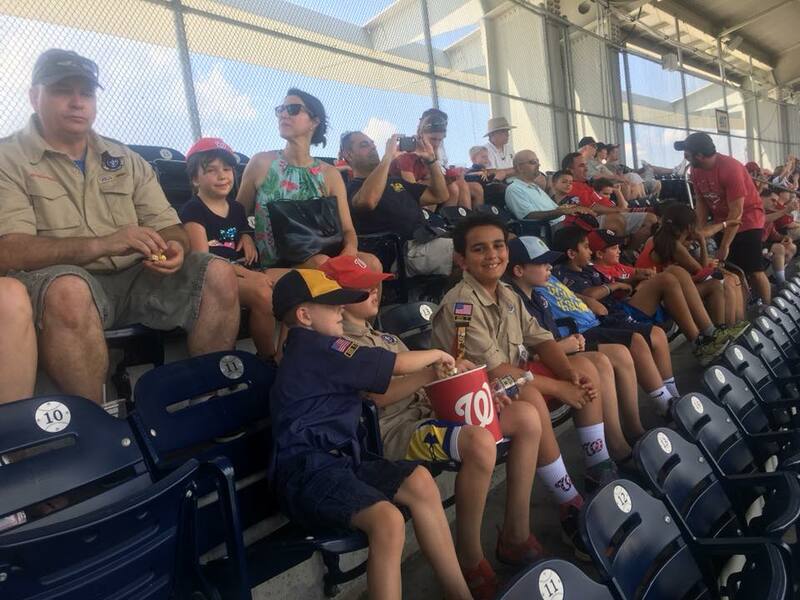 One of the most popular events of the year is the Pack outing to a September baseball game at Nationals Park. 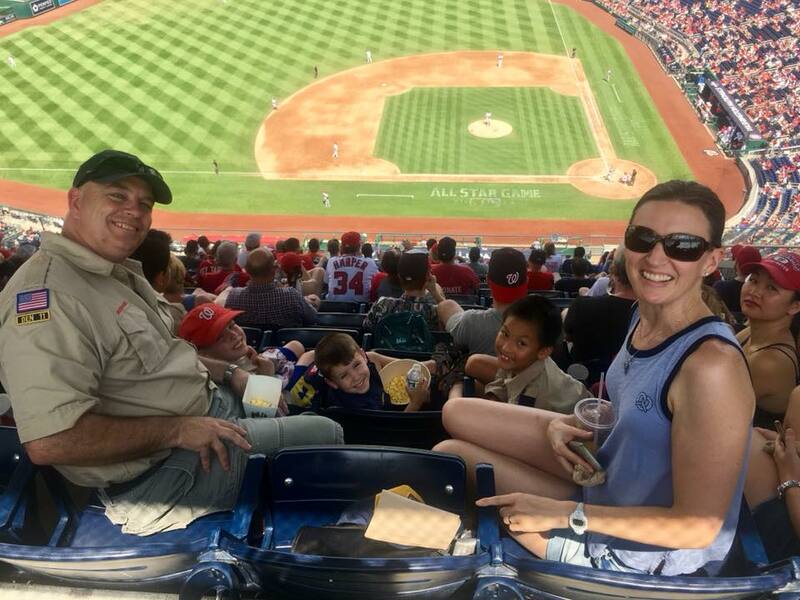 Not your ordinary baseball outing, the Cubs go to the game in uniform and are part of a parade of hundreds of Cub Scouts and Boy Scouts circling the entire outfield track of the park – on the field! The Pack usually has well over 100 boys and parents at the game, so we dominate a huge section of seats. 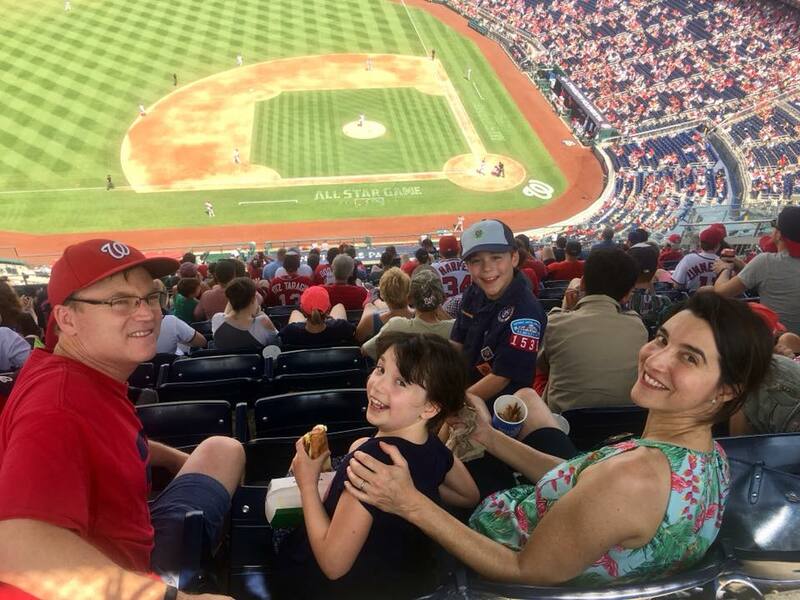 There is a lot of cheering for the home team, and they seem never to run out of popcorn, hot dogs, and cotton candy at Nationals Park. And sometimes a surprise benefit comes from being part of such a large, active Pack. A group of our boys led the flag ceremony at the start of the actual major-league baseball game. Wow!